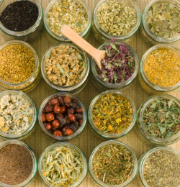 Did you know that 80% of the worlds population still rely on herbal medicine as thier primary form of healthcare? Although this is not the case in our Western countries, there is a growing return to natural healing as the world of allopathic medicine fails to provide lasting solutions and often contributes to our issues by way of side effects of pharmacutical medications. Herbal medicine is the use of whole plants in a holistic way to treat the person rather than the disease. Under the guidance of a qualified practitioner, this treatment can be used in conjunction with medical treatments and supports the whole person to return to a state of balance and health. 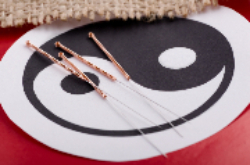 Acupuncture is a part of Chinese Medicine which has has been practiced for over 2000 years. Acupuncture works by stimulating and balancing the energy in the body. In Chinese Medicine this energy is called Qi (pronounced chi). The insertion of fine needles is used to rebalance the flow of energy, blood and fluids in the body and restore health. Acupuncture and Chinese Medicine is based on the principle of yin and yang. Acupuncture is a complementary therapy which can work effectively on its own or in tandem with modern Western techniques and medication. The approach treats the whole person and seeks to find and treat the root cause for the maximum impact on improved health. There is a growing body of research supporting its benefits. This deeply relaxing ancient therapy treats the feet to balance the whole body. It improves blood circulation which increases the efficiency of all the organs and cells. You will walk out with a spring in your step. Relax and unwind with a holistic massage. This full body massage not only eases muscular aches and pains, it also boosts your immune system and re-establishes your body's natural equilibrium. Let yourself float away and awaken renewed and refreshed! Pregnancy massage & Indian Head Massage also available. Amatsu is a physical therapy with it's origins in Japan and works to re-establish the body's natural state of balance, integrative movement and function. Its a treatment for the body as a whole, not just the symptoms or injury site. It is a non invasive therapy and works with the soft tissues of the body using techniques such as mobilisation, massage, re-patterning and cranial balancing. It is a safe and effective treatment for people of all ages from new-borns through to the elderly. Follow us to keep updated on offers & events!